During the World Evangelical Alliance Mission Commission’s Global Consultation in Izmir, Turkey in May, 2014, the WEA/MC leadership officially approved the Lausanne International Student Ministries (ISM) Global Leadership Network as a “docked network” of the Mission Commission to be a resource to the MC membership and the broader WEA. (The AMA, along with the Philippines Missions Association, are members of the MC.) Immediately following the acceptance of the LISMGLN, Russ Simons, MC member from Davao City, Phillipines, approached the Lausanne delegation of ISM leaders from South Africa, New Zealand, Canada, and the U.S., with the idea of offering an ISM training workshop in the Philippines. Russ’s invitation for the LISMGLN to serve as an ISM training resource in the Philippines was accepted and he catalyzed the Philippine Missions Association/Philippine Council of Evangelical Churches to promote the free workshop, Developing a Church-based International Student Ministry, that was hosted by Greenhills Christian Fellowship Church in Manila, in March, 2015. Lausanne ISM leaders from several countries and Filipino ISM leaders enriched the day-long seminar that was attended by about 50+ participants from many churches and ministries from Manila and beyond below. In recent years the number of international students coming to the Philippines has dramatically increased. The country is a good location for many Middle Eastern and Asian students for academic training, especially since the Philippines is an English speaking country. Given this opportunity, the Philippine Missions Association promoted it’s second ISM Seminar that was hosted at Grace Bible Church in Manila, in November, 2016. The facilitators were Leiton Chinn, Lausanne Catalyst for ISM, and Lisa Espineli Chinn, a Filipina missionary from Quezon City to university students in America, and former National ISM Director of InterVarsity USA. Most of the participants represented about 10 new churches and ministries and eagerly engaged in considering starting or developing an outreach among foreign students in their communities. Delegations from at least two churches left their towns at midnight to arrive at the 8:30 start of the seminar. The leader of one of the two churches, from Baguio City, has since promoted the ISM vision among his denomination’s student workers and leaders in another region. Additionally, the seminar administrator recently reported that, “two young people from the church in Las Pinas who attended the ISM Seminar were sharing that they have applied the things they have learned from the seminar, that church families have adopted international students and continuously pray for them, and the ministry is growing – more and more international students are joining the fellowship”. After the conclusion of a workshop related to cross-cultural re-entry of diaspora peoples given at the AMA Convention in April, 2016, PMA leaders encouraged presenter Lisa Espineli Chinn to consider a consultation on Re-entry of Filipino Overseas Foreign Workers (OFW’s). In November, 2016 PMA hosted the event in its office, for leaders concerned about OFW returnees facing re-entry challenges. 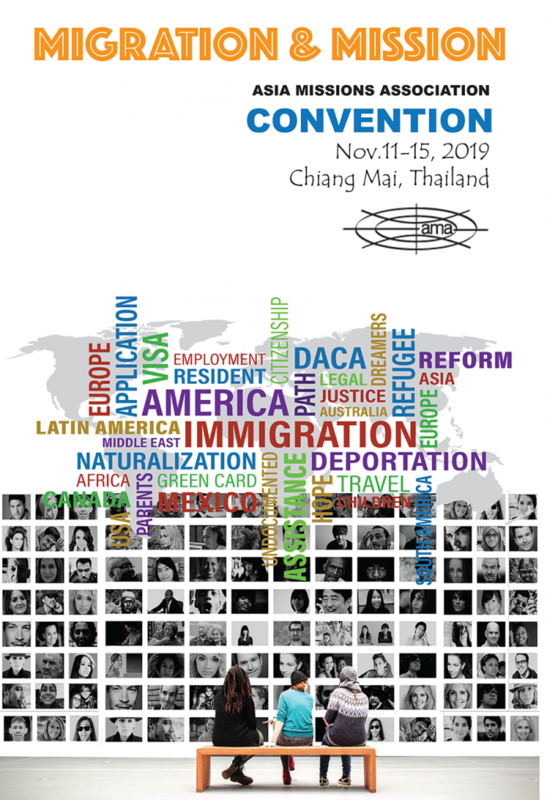 Lisa Epsineli Chinn is on the Advisory Board of the Lausanne Global Diaspora Network, and the author of several publications on re-entry of international students and other returning sojourners who have lived abroad. Mr. Leiton Edward Chinn has been mobilizing the church for ISM since 1977, and is the Lausanne Catalyst for International Student Ministries. He is also a member of the World Evangelical Alliance Missions Commission. He was a former President of ACMI.